Imagine…it’s the first century. The hungry crowds are clamoring to catch a glimpse of the gladiators, sometimes slaves, more often criminals, or even prisoners of war! Occasionally there were free men (and even women), who longed for the glory, the praise, the spotlight. Wedged in tightly between 50,000 of their closest friends, the crowd erupts as the first animals and/or gladiators appear out of nowhere, emerging from hidden trap doors and a complex set of lifts, ropes, and pulleys. The excitement is palpable! The Colosseum, completed in 80 AD, was used mainly for gladiator tournaments, war reenactments, sea battle plays, and public executions. It also held occasional events such as mock animal hunts and dramas. Gladiatorial games became a very popular spectacle and the Romans eagerly flocked to the Colosseum, spectators hungry for entertainment, adventure, and death. Death!? I’m still trying to reconcile how that word is synonymous to entertainment. 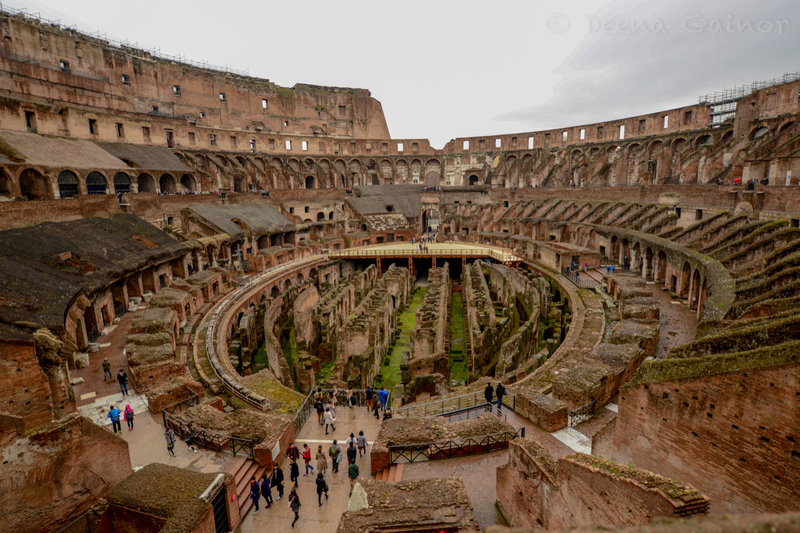 While most of us are familiar with the Colosseum and what it was used for, there were many fascinating new things I learned. For instance, the central area of the Colosseum was sometimes flooded to host spectacular naval games. I Googled images of this, because I thought it intriguing and had a difficult time imagining what it may have looked like. What a brilliant idea. Also, most of us have always been aware of animals like lions being involved in the “entertainment” and killing of people. I was astounded, however, when I decided to research this a bit more. The massive selection of animals may have included elephants, rhinoceroses, and hippopotamuses, as well as giraffes, apes, crocodiles, panthers, bears, tigers, leopards, and so many more! I had no idea. I was also bewildered by the magnitude of blood shed. Thousands of these beautiful animals were slaughtered alongside their human counterparts, sometimes nine or ten thousand at a time within a hundred day period of celebration. It’s hard to wrap my mind around the scope of destruction and death, for both animals and people! It looks like I wasn’t the only one. It was disconcerting to learn of the massive carnage within the walls of Colosseum amidst thousands of cheering fans, but that was their reality. Despite this, a visit to the Colosseum is still fascinating. Standing where Romans and gladiators once stood over 2000 years ago, touching the walls and getting a glimpse into how gruesome and lively life may have been so long ago…well, the experience is riveting. 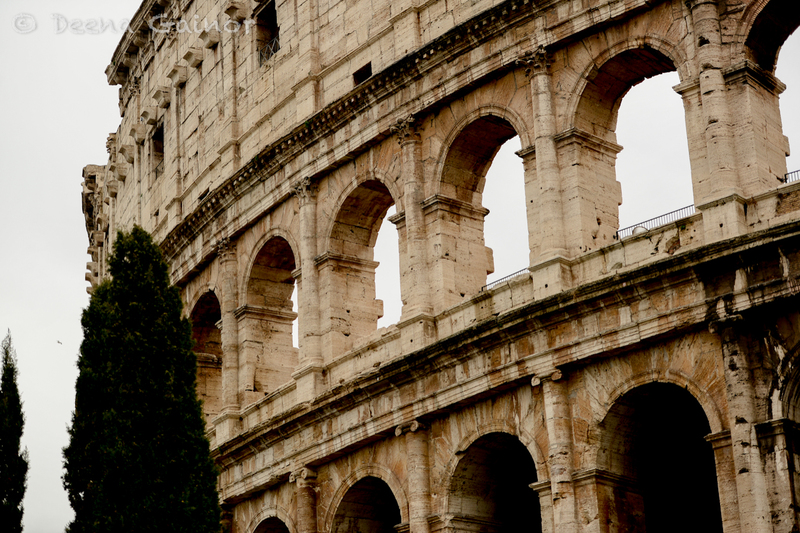 Just a few fun shots we took during our visit to the Colosseum. We had a little sprinkling of rain, which made the whole experience much more fun! Arrange to have a guided tour. Though this may be a more expensive alternative, you will receive valuable, interesting information and see things many others don’t while skipping past the long lines. Pre-purchase your admission tickets. You can do this through the travel agent that booked your vacation, online, or often through your hotel. Just ask the concierge for help. Purchase your tickets at Palatine Hill or the Forum, walking distance from the Colosseum, as lines tend to be much shorter. 2. If you decide against a guided tour, invest in a guidebook or audio tour to help get the most out of your visit. 3. Guard your money and belongings carefully. 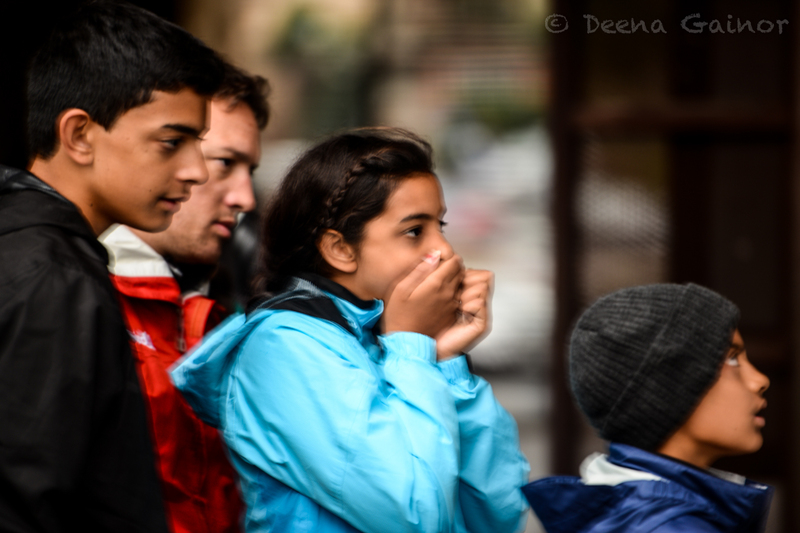 Rome is infamous for its pickpockets and I guarantee you will not feel a thing if/when it happens to you! I speak from experience as would my husband, Ryan (in Paris). So take only what cash you absolutely need and keep it in a safe place. Hint: Your pockets and/or a fanny pack are NOT ideal. Try something around your neck that tucks into your shirt. 4. 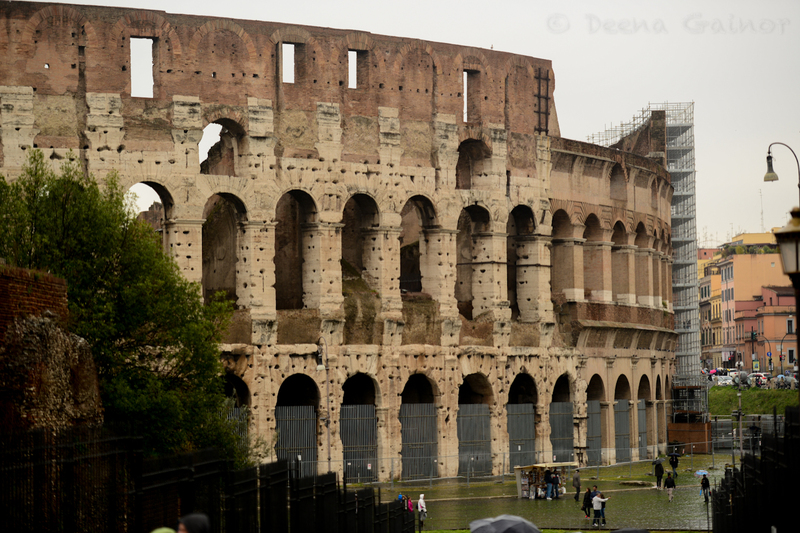 If you’re a photographer, try to enter the Colosseum before the crowds start pouring in. If your fast, you’ll be better able to capture some fantastic shots. 5. Enjoy your time, read the information panels, or listen carefully to your tour guide. The richness of history is intense. Marty!! So happy to hear from you. Ryan, the kids, and I talk so often of you all and our time in South Africa. Remember, that offer to visit us in Chicago is open, so think about it!! Love to you from all of us!